Many patients are in search of a more attractive smile, which is why our West Hollywood dentist offers comprehensive dental services that can improve not only the health but also the beauty of your smile. We have assembled a team of dental professionals who are committed to providing you with the most personalized services possible. Your dental needs are our priority. Prevention is one of the most basic aspects of good dental care. We recommend good daily dental hygiene that consists of brushing after meals and flossing at least once a day. However, you can also take other steps to preserve your dental health, including regular fluoride treatments, dental sealants or orthodontics to straighten teeth and reduce wear and tear. Biannual dental checkups are advised for most of our patients. However, if you are pregnant, have diabetes, smoke or have certain medical needs, we may recommend more frequent dental checkups and cleanings with our Safeguard HMO dental insurance dentist in West Hollywood. Tooth decay, tooth loss, gum disease and other dental health conditions can cause significant damage. Our dentist offers a range of restorative treatments to restore health to your smile. We may recommend dental fillings, root canal treatments, porcelain crowns, dental implants and other procedures or treatments designed to stabilize your dental health and improve your smile’s function. A beautiful smile may be just a few dental visits away. We offer teeth whitening treatments, inlays and onlays, dental bonding, porcelain veneers, Invisalign or Lumineers to help you eliminate stains, restore damaged teeth and conceal minor flaws. We are pleased to be able to offer you a variety of treatment options to help you achieve a more attractive, healthier smile. 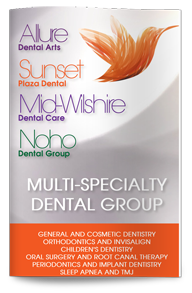 Give us a call today to learn more or to schedule your next appointment with our Safeguard HMO dental insurance provider in West Hollywood.